Royal Medjool Dates. Medjool dates are a lot bigger but not pitted. 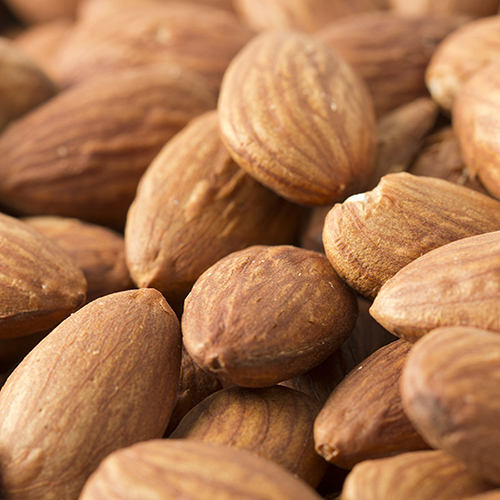 Ideal and easy to replace the pit with an almond or some cheese, or whatever else you would like. 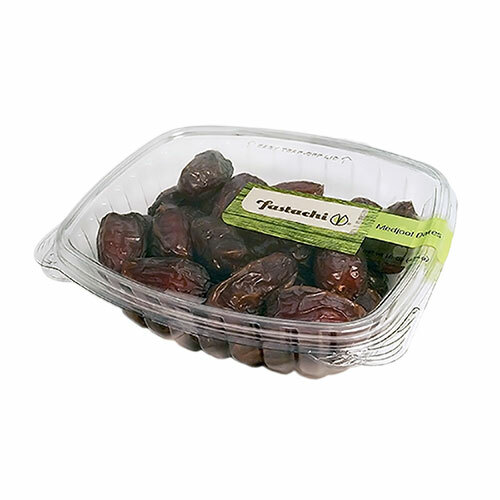 Please note that Fastachi medjool dates are not pitted. NUTRITION FACTS: Serv. 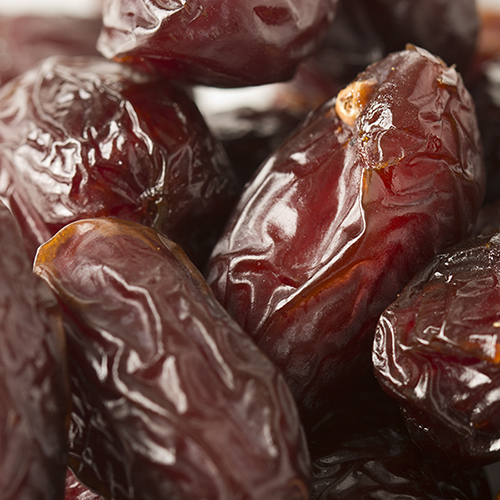 Size: 2 dates (46g). Amount Per Serving: Calories 140, Total Fat 0g (0% DV), Sat. Fat 0g (0% DV), Trans Fat 0g (0% DV), Cholest. 0mg (0% DV), Sodium 10mg (0% DV), Potassium 200mg (8% DV), Total Carb. 36g (8% DV), Dietary Fiber 3g, Sugars 29g, Protein 1g, Vitamin A (0% DV), Vitamin C (0% DV), Calcium (2% DV), Iron (2% DV), Magnesium (4% DV). Not a significant source of Fat Cal., Sat. Fat, Trans Fat, Cholest., Sodium, Vitamin A and C. Percent Daily Values (DV) are based on a 2,000 calorie diet. Very large and moist. A real treat! These were the best dates I've ever had. Really. Seriously good.